Thorin Finch is in the unique position of having parents who believe there is no such things as too many LEGO bricks. An early interest in building has lead him to create models in a variety of themes, from dragons to space to architecture, and even the occasional homework assignment. He has displayed models at several conventions on the west coast and is even in the film A Lego Brickumentary where he is building a model of Helm’s Deep, which somehow survives an invasion of his younger brother’s giant bird. 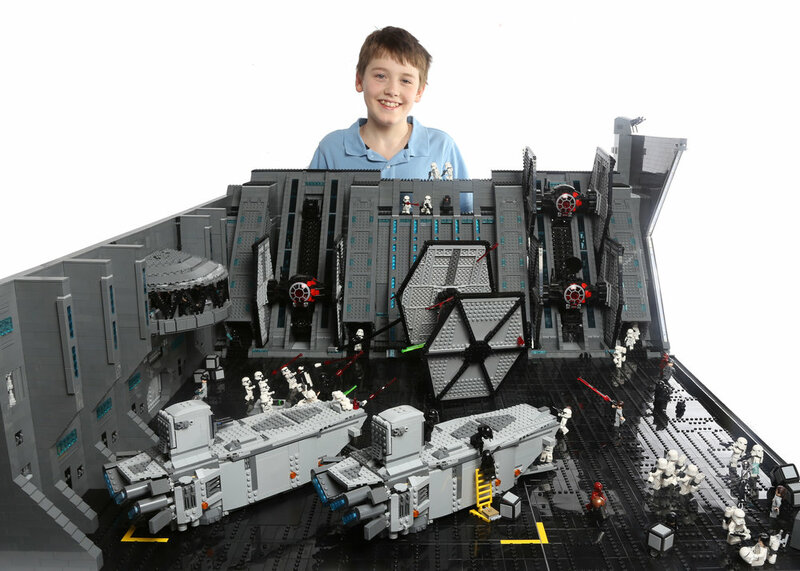 His models can be seen in several published books, including the LEGO Star Wars Idea Book and many of his own designs are available as kits on this website. Thorin Finch attended the Bricks By The Bay 2015 LEGO convention with his Lego model of How To Train Your Dragon's ISLE OF BERK. A LEGO Brickumentary will take us on a journey through the LEGO universe...like you have never seen before. Thorin Finch (son of Seattle Lego legend Alice Finch) plays with bricks in the family's Lego room. But filmmakers Kief Davidson and Daniel Junge say Lego is now much more than just a toy.